Bed bugs are the nemesis of every hotel, motel and inn owner. They're not too good for homeowners either. 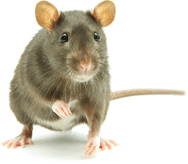 These troublesome household pests are sneaky and hard to find but can pose a variety of health and nuisance risks. Bed bugs proliferate at alarming rates, which is why you must get your bed bug problem addressed immediately. They may not transmit disease, but they do bite skin and cause itchy reactions. Mature bed bugs are the size of an apple seed and are reddish-brown, wingless and flat. Their bites can be mistaken for mosquito bites, which makes them so hard to diagnose. 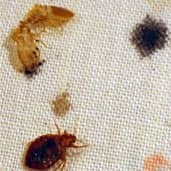 Bed bugs multiply quickly. In just six months, a few bugs can turn into a huge infestation of 13,000 or more. Determining the presence of a bed bug infestation can be quite difficult. Even if you do discover bed bugs, home remedies are often ineffective. That's why you need us. PureGuard is well-equipped to assess your bed bug problem, armed with state-of-the-art tools and products. We offer a plan with fast results that begins with an inspection first to identify where the issues are within the house. From there, we create a custom weekly plan for total elimination. Our bed bug program is comprehensive and includes treatment for the bed, furniture, and wall hangings. Remember: Early detection is crucial in breaking the bed bug life cycle. Call PureGuard immediately at the first sign of bed bugs at 615-502-2855. Awesome customer service and did a great job. Very professional company and you can tell they are run well. No more Bed Bugss! I will definitely use them again.